Welcome to Hampton WaterSports, formerly known as Windsurfing Hamptons or Kiteboarding Hamptons, depending on your interest. The name may have changed but we remain New York's premier full-service wind and wave shop. As you would expect, we've got all the latest toys, boards, sails and more for windsurfers, kiteboarders, stand up and surfers. 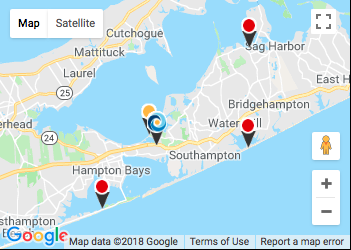 Located in Southampton, Long Island, we are uniquely positioned close to most - some would say all! - of the best launch spots and this means that you will see us on the beach and in the water as well as in the store. Check out the "Local Info" option above to see what we mean; you'll see details of some of our favorite local launches, as well as directions on how to get there and when it's worth going. You'll also see directions to our rental locations on the Peconic Bay at Cold Spring Road and at Napeague. Run by active water sports people since 1993, we are dedicated to providing the best in service and selection on all the major brands. We’ve been committed to providing lessons and rentals to both the entry level individual, and to the more advanced windsurfer, kiteboarder , SUP and surfer. We are especially dedicated to the instruction of kids. An annual program involving the Town of Southampton, has introduced thousands of kids to the sport of Windsurfing (check out the "Kids Program" option above for more details). Surfhampton surf camp is the areas longest running and most popular surf camp. Both programs continue to flourish along with the kids who participate. Hampton WaterSports is a “full service” store. In other words, we won’t hide behind our Web presence, but rather we’re a local store that happens to also have a web store. So… if you don’t see what you need, are not sure which products work well together, or any other question, just drop us a line or call us (1-631-283-9463) and we’ll work out what the best solution is for you.